It was the 13th foot to wash ashore since 2007. “At the beginning, it seemed more strange, but now it happens so many times,” one resident said. Her instincts were right. 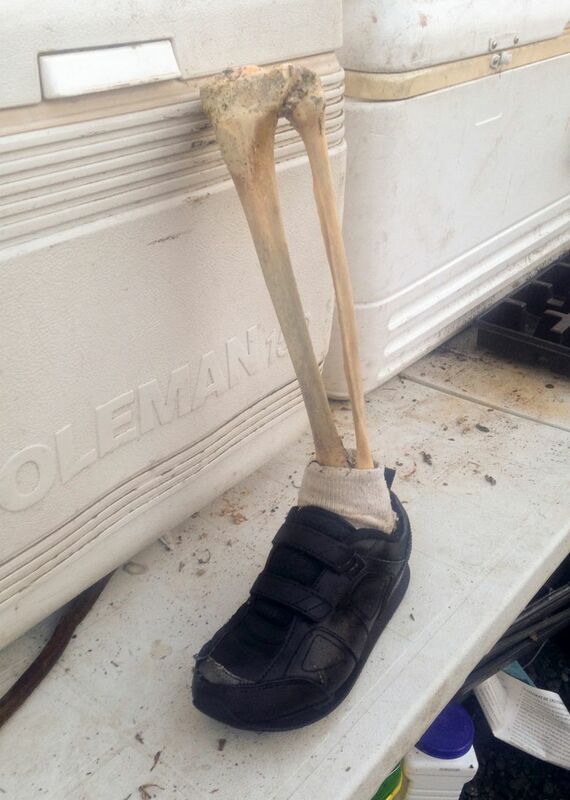 Johns followed behind her and pushed away the kelp, revealing his dog’s find: a tibia and fibula attached to a left human foot with a white ankle sock in a black running shoe. 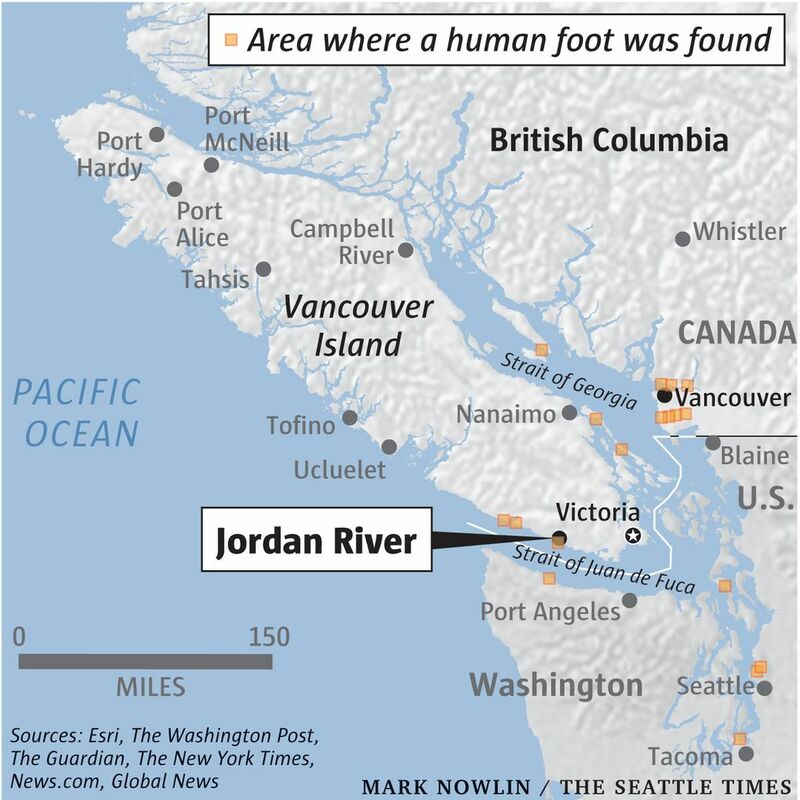 “It’s just a freak thing that it happened to be here,” said Johns, 56, who lives in Jordan River, a surfer’s village about 70 miles southwest of Vancouver, Canada. Johns said he called the police and then used a stick to pick up what remained of the leg, carried it back to his property and locked it in his greenhouse. The Royal Canadian Mounted Police retrieved the remains Friday, the authorities said, and they are being inspected by the Coroners Service of British Columbia. “We’ll try to get a DNA sample,” said Andy Watson, a spokesman for the service. During winter months, British Columbia experiences what are known as “king tides,” unusually high tides that can cause coastal flooding. The tides, along with strong currents and the fact that shoes are buoyant, mean that the remains could belong to someone as far north as Alaska or as far south as Oregon, Watson said. Watson said it was too soon to determine how the person died. Joshua Constandinou, who owns the Cold Shoulder Cafe in Jordan River, about a half-mile from the site of the foot, said residents were not rattled by the discovery. “At the beginning, it seemed more strange, but now it happens so many times,” Constandinou said.